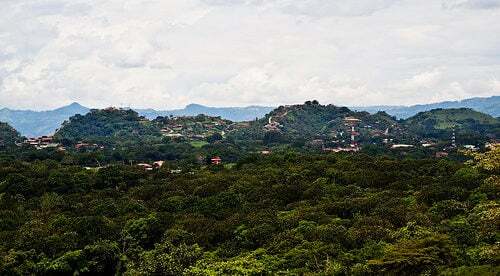 The weather is just one element that makes life in Costa Rica's Central Valley so attractive for expats. After a lifetime of cold weather in Alberta, Canada, retired couple Rick and Peggy Stewart were ready for a change. And they found a perfect climate—and many more benefits—in the rural community of Santa Eulalia about 20 minutes outside of the small town of Atenas, in Costa Rica’s Central Valley. They’ve been here 16 months. From their new home in the tropics, they can’t help but rub it in with friends and family back home. The near perfect climate in the Central Valley region in the interior of the country, surrounding the capital, San Jose, has long attracted expats like the Stewarts. “I sit on my terraza (terrace) 12 months of the year,” says Peggy, a retired vice president in a government employees union and later a counselor for troubled youth. But weather is just one element that makes life here so attractive for expats. The Stewarts have found a warm and welcoming community that has just the right amount of foreign residents and Ticos, as Costa Ricans call themselves. They helped out at the annual Atenas chili cook off and get together often with other retirees to visit, have potluck dinners, and play cards. Spanish class every Monday is helping them adapt to their new home and get to know their neighbors. They also give back to their new community. Rick volunteers weekly with a local home for children in need. And Peggy, who’s always loved animals, works with Lighthouse Animal Rescue. Cost of living is a big advantage they enjoy too. The couple is renting now, $800 a month for a three-bedroom house with a pool. Electricity is about $100 a month. The couple will buy—or build—a house (they haven’t decided) as soon as some of their property back in Canada sells. Rick plans to plant a small orchard and a garden for the property, as well as a wood shop. A large outdoor living area, maybe even an outdoor kitchen, is a priority. To take advantage of that weather, of course.